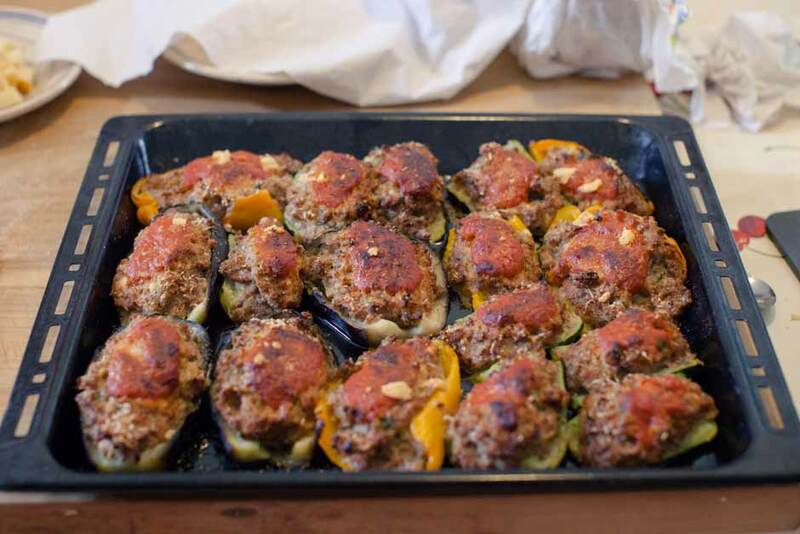 Try our stuffed aubergine recipe from Puglia this weekend! Puglia is known for its “cucina povera” which is renowned for their self-sufficiency and deep roots in agricultural traditions. As May marks the start of the aubergine season, we want to share one of these mouthwatering dishes, popular on our cooking holidays in Puglia, with you! 1. Cut your aubergines in half and place them in boiling water for approx. 10-15 minutes and take out after. 2. Wait until cooled down. Then scoop the flesh out with a spoon, chop up and add it to the sausage meat. 3. Fry the garlic and the parsley in oil. Add to the stuffing mixture and cook for 10 minutes. Leave to cool. 4. Add eggs, Pecorino cheese, salt, pepper and breadcrumbs to the mix. Fill the aubergines with the mixture. 5. Place the stuffed aubergines on a tray. Cover them with tomato sauce and basil and bake them in a pre-heated oven (220 degrees) for approx. 20 minutes. The same recipe can be used with courgettes and peppers. Have you tried and liked this delicious dish at home? Imagine how tasty it will taste in authentic environments in Puglia, taught by local chefs from the region. If you want to find out more check our cookery courses in Puglia!